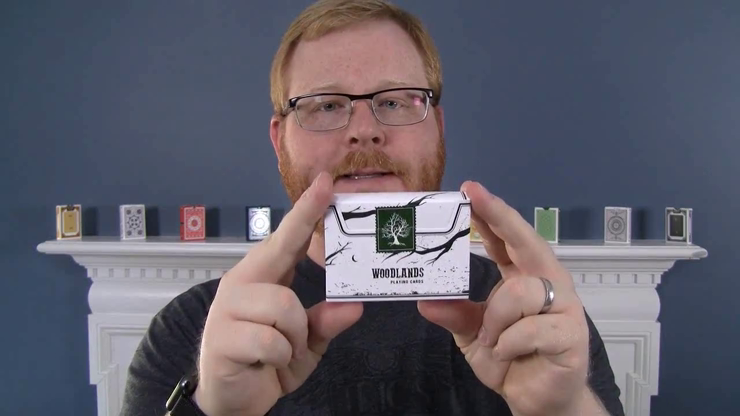 From Penguin Magic and designer Qiudi Zhang, Woodlands Playing Cards is a 100% custom deck that perfectly captures the feeling of a stroll through the woods. The backs feature a deep green color with an owl-themed design. Two different custom Jokers and a tree Ace of Spades round out the deck alongside custom-colored EPCC Standard faces. The entire deck has a natural, earthy full-bleed background color and texture. This amazing deck is housed in a beautiful side-opening tuck box with a wrap-around tree branch design; topped off with a custom sticker seal. Only 3,000 first-edition decks printed! Simply enter your details below and we will send you an e-mail when “Woodlands Playing Cards” is available to ship!